In about 25 years the world will have used up its remaining “carbon credit” for the current century. Additional emissions will contribute to global warming beyond the tipping point of two degrees (C), the safety threshold used by most scientists of the Intergovernmental Panel on Climate Change (IPCC). Even if carbon emissions are somehow kept within the permissible range, the world still only has a 50% chance of limiting the temperature increase to less than the maximum allowed. The long-awaited fifth IPCC report on climate change, released last Friday in Stockholm after a last round of feverish and secretive negotiations, is blunt in its warnings. One of the panel’s co-chairs, Thomas Stocker of the University of Bern, concluded that the global community is “clearly not” on the path to keeping rising temperatures in check. Meanwhile, another co-chair, glaciologist Qin Dahe of China, said that any calculation based on a drastic reduction of his country’s dependency on fossil fuels is destined to be in “gross error”. The IPCC report is hailed as a miracle of creation. Thousands of top scientists from nearly all countries of the world contributed their formidable intelligence and knowledge to write a detailed assessment of the global climate and the changes it is expected to undergo over the next century. It is hard to argue with such an unprecedented body of specialist knowledge. However, taking a step back from the brouhaha surrounding the release of IPCC report and applying a pinch of healthy scepticism, one cannot but conclude that most scientists seem ever so slightly confused about the course global climate is expected to take. Global warming is not a figment of their collective imagination. There is even a large degree of consensus that humankind is the cause of this warming. But the degree to which our planet is heating up remains much of a mystery. The IPCC assessment concludes that by the end of the century, temperatures will have increased anywhere between 0.3 and 4.8 degrees. This is much like saying global warming can be anything from a non-issue to a catastrophe of unimaginable proportions. With that much brain power being applied to the burning question at hand, one would expect a number perhaps somewhat more specific. The IPCC seems to employ not just a great many scientists but a fair number of statisticians as well. For all its vagueness on the actual rise in temperatures now brewing, the panel is 66% certain that the past three decades have been the warmest of the last 1,400 years. The panel is 90% certain that over the next hundred or so years, heat waves will become longer, more frequent and more sever. The IPCC can also ascertain with 90% certainty that sea levels will continue to rise. 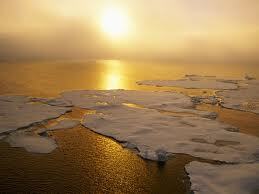 By 2050 there is a 66% likelihood that the Arctic ice sheet will completely disappear in the late northern summer. With both the Chinese and Indians already cautioning against too much optimism when it comes to their ability to foster economic growth without a corresponding rise in carbon emissions, the IPCC’s attempt to make a point becomes moot or at best and exercise in futility. The frantic negotiations taking place in Stockholm on the eve of the report’s release also seem to undermine the IPCC’s effort. Science is not usually subject to negotiation but based on verifiable and falsifiable facts derived from objective observation. While investigating trends in the climate of the earth is most definitely a worthwhile exercise, it now has become too much of a hot potato to actually carry significant scientific weight. While a shining example of cooperation on a truly global scale, the IPCC is no stranger to controversy: In the recent past its scientists have been found to massage the numbers to fit their politically expedient conclusions. The public has been fed a depressingly long series of lies and half-truths about global warming. The IPCC has become a powerful body that sets the green agenda. Its findings, however inconclusive, determine government policies and often help drive up taxation levels. This power, as much as any, corrupts. As an exceedingly well-funded bureaucracy, the IPCC has a vested interest in promoting its agenda. It is not above reproach and does not represent the ultimate truth upon which the fate of humanity rests. Solutions to global warming based on global consensus and acceptance of imprecise numbers are bound to fail. Any diplomat will admit to this when the cameras and mikes are turned off and reporters are out of earshot. Decisions get made based on economic considerations. If tangible and immediate results can be obtained, countries act. If not, they make soothing noises and muddle on as before. The world’s scientific community might consider throwing its massive intellectual weight at developing cheap renewable energy sources that can compete with fossil fuels in a free market. Oil, coal and even natural gas are so last century. The global community needs revolutionary new ways of generating plentiful power. Now, that’s a challenge worth of a global effort.